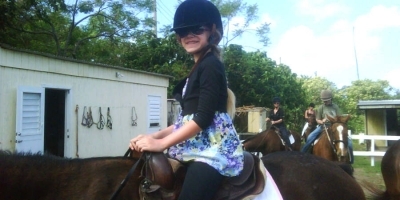 Beginners to experienced, ages 6 yrs and older – ride on the beach, on historic trails and through Nevisian villages. Bring the kids! We specialize in family group rides. This 90 minute ride takes you mostly on the beach from north to south and then reversed. Start times depend on the time of year and be sure to bring your camera! Riders with skills above the beginner/novice level may choose to do more than a walk. If that is the case you can trot, canter and gallop on a ride tailored to your level. 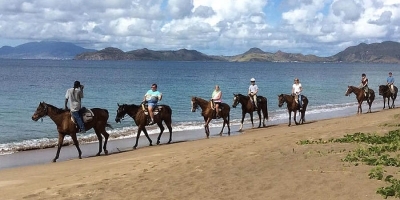 To all of you who chose or referred clients/friends/relatives for the adventure and thrill of horseback riding with the Nevis Equestrian Centre in 2016, we say a great big thank you and wish you a blessed, prosperous holiday season and a joyous new year....and since this is the season for giving, the Nevis Equestrian Centre will give a $10.00 discount to all children, 17 and under, riding with us in the months of December and January. 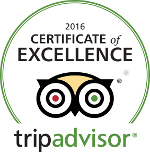 To those of you who submitted your positive comments to Trip Advisor, we send you our most sincere appreciation for enabling us to earn a Trip Advisor ‘Award of Excellence’. May all of your vacations and experiences in 2017 be fantastic and we hope to have you visit the ‘Guilbert family-owned’ Nevis Equestrian Centre again in the future! On behalf of On behalf of On behalf of John Guilbert, John Guilbert, John Guilbert, Erika Guilbert- Erika Guilbert-Archibald and Archibald and Archibald and Riding Tour Guide, Navin Persaud, it was our most sincere pleasure to serve you! it was our most sincere pleasure to serve you! 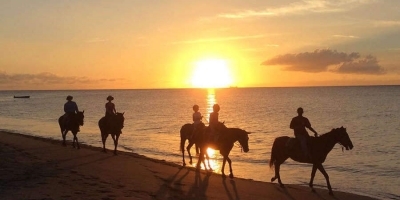 "Established on Nevis in 1996 and with 40 years of horse mojo, John Guilbert provides a fulfilling experience of island sights and history on horseback."